Lean Manufacturing as a management tool has taken the manufacturing industry by storm. Companies around the globe have adopted Lean methods in many forms and by many names. In thousands of organizations across different industries, “Lean Enterprise” is one of the most promoted and competitive business models in use today. The Lean Manufacturing concept, known as the Toyota Production System (TPS) consist mainly of the elimination of the seven kinds of wastes ( muda ), classified as Transportation, Inventory, Motion, Waiting, Overproduction, Over-Processing, and Defects. 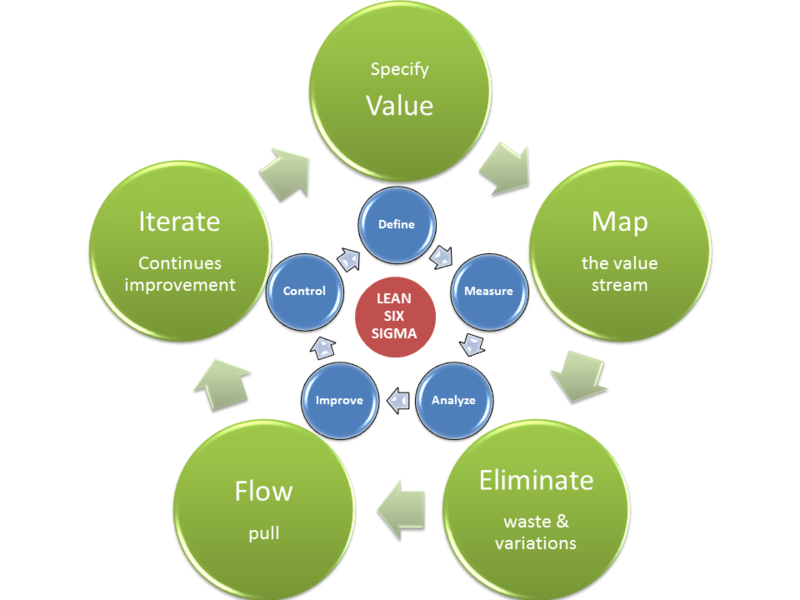 Lean 6-Sigma is a new concept focused on increasing the efficiency in production through the combined application of Lean practices and 6-Sigma statistical methods. Lean 6-Sigma aims to enable faster, more precise, and less expensive production and implementation of products and processes. Management consultants generally do not have sufficient knowledge about functions and workflows of an MOM/MES system. They are generally restricted to organizational services and employee training. System providers are generally concerned with the problems of software development and the technological basis of the system. NearSoft’s MOM4 solution achieves the full potential of the synergy offered by its qualified integrated production management system and management consultancy support. 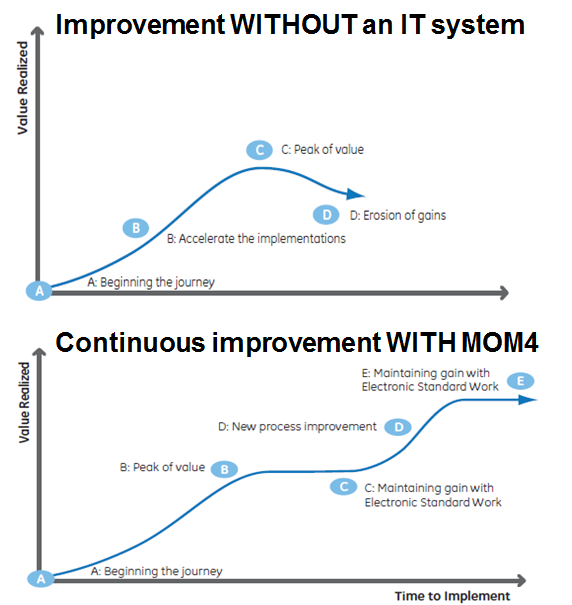 As a unique bottom-up developed system, MOM4 has achieved the highest levels of Manufacturing Operations Management excellence in compliance with ISO quality standards. Minimizes re-works, reduces failures and improves overall workplace efficiency by correlating and storing all production process information in a database for further analyses using statistical methods and associated instruments (SPC).